Today You have become the unity of two hearts – now You are the family. The Bride feels the wonderful lightness – she is a Princess! The bride-groom is nervous and excited looking forward to the most important step in his life. Every minute is exciting… every second is playing the role… today is YOUR day! The first night you are in a new role for each other. There are only You and Another Half of You in all over the world. 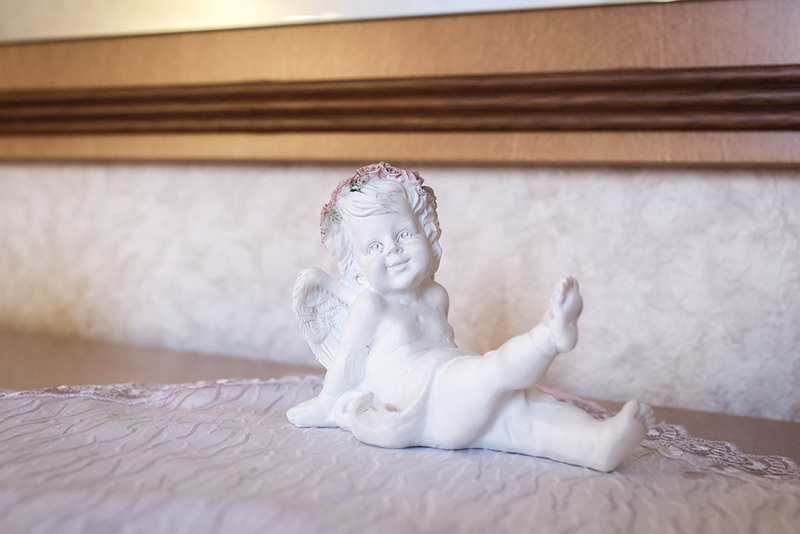 The delight and tightness surround you in a splendid, comfortable VIP Deluxe Room. The price is 5000 rubles. The tender wind shakes the swing, where your hearts fly higher and higher. You smile and want to dip in loving eyes. 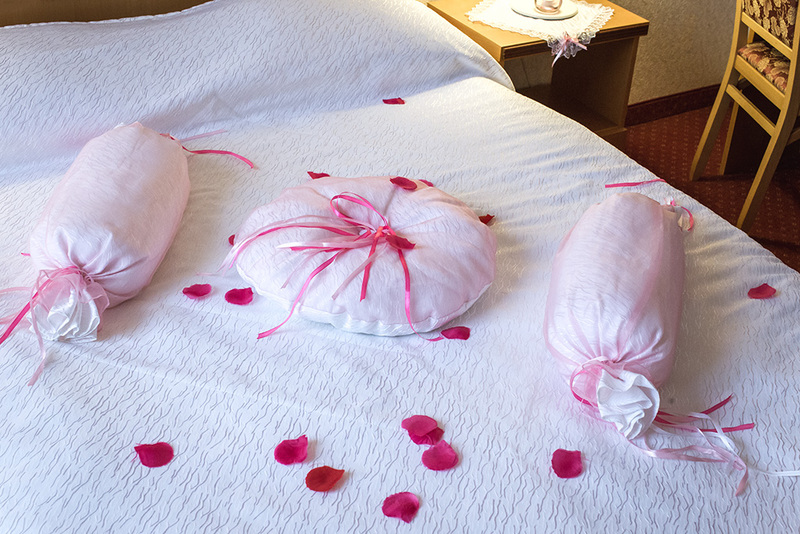 Let it be the romantic night in the delightful Single Deluxe Room. 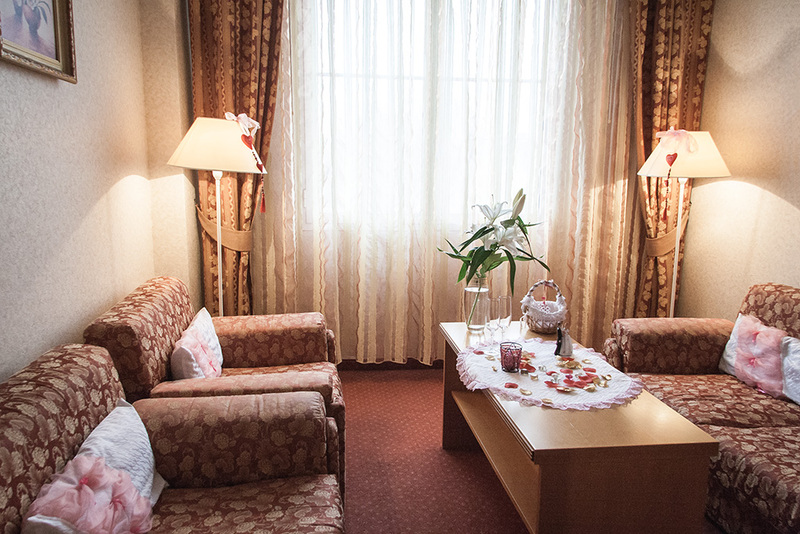 The exclusively decorated apartments will be the beautiful continuation of your solemn day. The price is 3600 rubles. the possibility of late departure. The price is 2800 rubles. Exclusive Honeymoon is the reality! 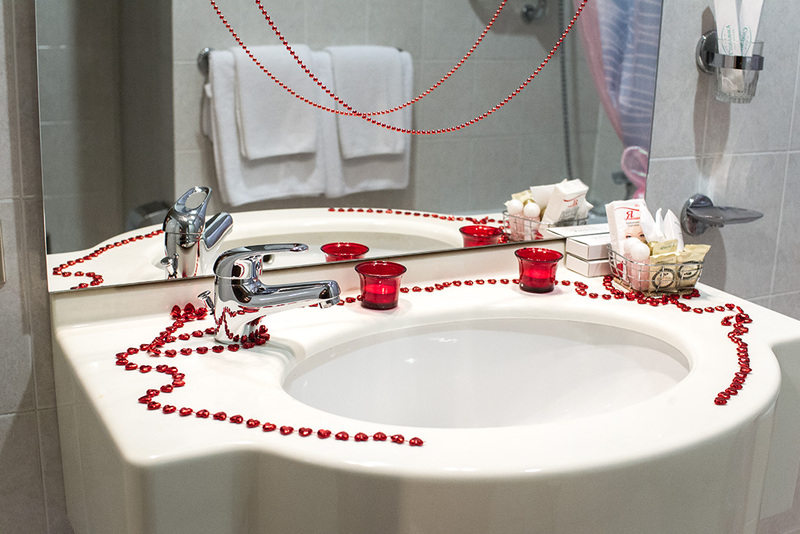 Let you dip into the sea of senses and delight the moment using the special proposition from the «STOILIANKA« hotel! Can’t find the memorable present for JUST MERRIED? So, you can present the unforgettable night! Just buy the present certificate. If you won’t be ordinary and don’t know what to present, come to us! We help you to do the pleasant, memorable surprise! (You can also buy the certificate in the House of Wedding). 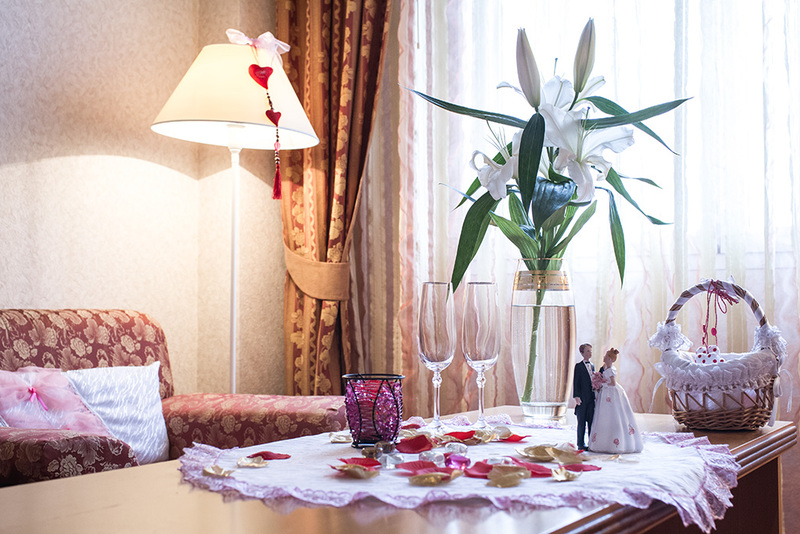 In our hotel there is a stylish and cozy bar for the 50 persons, where you can give the wedding party. In summer time the exclusive French style cafй “Comme il faut” waits for you and your guests. If you give the wedding party in our bar or “Comme il faut” cafй, you are given a reduction for the wedding certificate. We’ll please the most exacting guests! We wish you happiness and love, warmness and mutual understanding, smile in your eyes. Don’t leave the hand of each other and be always together!